World Class Service Tester for Super Nintendo Systems. 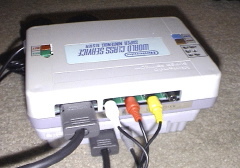 Plugs into cart slot, controller ports, and video port to run tests. RacerMate Bicycle Training System. 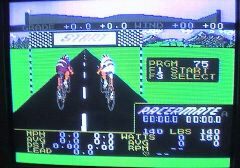 Bike fits in trainer and transmits info to the NES for display.